The scientific research team in colleges and universities is an important part of China’s scientific research, and its research results are of great significance to the progress and development of the country. This paper summarizes the influencing factors that affect the level of knowledge sharing of scientific research teams in colleges and universities: 1) the characteristics of knowledge; 2) the individual differences between knowledge providers and recipients; 3) knowledge sharing channels, as evidenced by the lack of technical support and communication tools; 4) the knowledge-sharing environment. The concrete manifestation is the lack of good cultural atmosphere and the imperfect incentive mechanism. 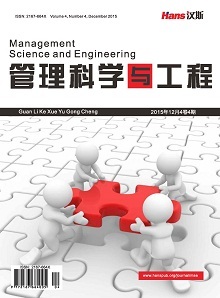 This paper puts forward that the organization should improve the incentive mechanism, reduce the knowledge distance among the team members, create the team atmosphere of knowledge sharing, establish a reasonable team structure, and hold knowledge exchange activities, so as to improve the knowledge innovation ability of colleges and universities, and make greater contributions to the scientific research development of university in China. 施琴芬, 吴祖麒, 赵康. 知识管理视野下的隐形知识[J]. 中国软科学, 2003(8): 96-102. O’Dell, G. (1998) If Only We Know: The Transfer of Internal Knowledge and Best Practice. California Management Review, 40, 54-174. 汤建影, 黄瑞华. 合作研发高校科研团队知识共享的微机制[J]. 科学管理研究, 2004(6): 71-75. Teece, D.J. (1998) Capturing Value from Knowledge Assets: The New Economy, Markets for Know-How and Intangible Assets. California Management Review, 40, 55-79. Brown, J.S. and Duguid, P. (1998) Organizing Knowledge. California Management Review, 40, 90-97. 韩成标. 高校科研团队绩效评价相关问题研究[J]. 江苏高教, 2013(5): 61-62. 晋琳琳, 李德煌. 科研团队学科背景特征对创新绩效的影响——以知识交流共享与知识整合为中介变量[J]. 科学学研究, 2012(1): 111-123. 李霞. 高校创新型科研团队知识共享行为、学习行为及团队绩效研究[J]. 软科学, 2012(6): 83-87. 李志宏, 朱桃, 赖文娣. 高校创新型团队隐性知识共享意愿研究[J]. 科学学研究, 2010(4): 581-590. 赵士英, 洪晓楠. 显性知识与隐性知识的辩证关系[J]. 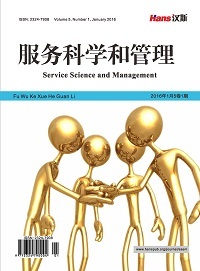 自然辩证法研究, 2010(10): 20-23. Ritala, P. (2018) External KS and Radical Innovation + the Downsices of Uncontrolled Openness. Journal of Management, 5, 1106-1109. Maatman, M. (2017) Why Sharing Is Synergy + the Role of Decentralized Control Mechanisms and Centralezed HR Capabilities in Creating HR Shared Value. Emerald Insight, 6, 1298-1302. Ali, I. and Ul Musawir, A. (2018) Impact of KS and Absorptive Capacity on Project Performance + the Moderating Role of Social Processes. Emerald Insight, 6, 453-460.